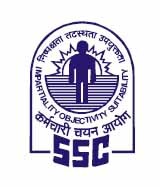 The Staff Selection Commission has published a few amendments in it's official SSC Exam Calendar 2018-19. According to this notice, the official notification of Combined Graduate Level Examination 2018 (SSC CGL 2018) which was supposed to release on 21st April 2018 will be released on 5th May 2018. The organization has also announced that the Recruitment of Constable (GD) in CAPFs and Rifleman (GD) in Assam Rifles Examination 2017 will be announced on 9th June 2018.